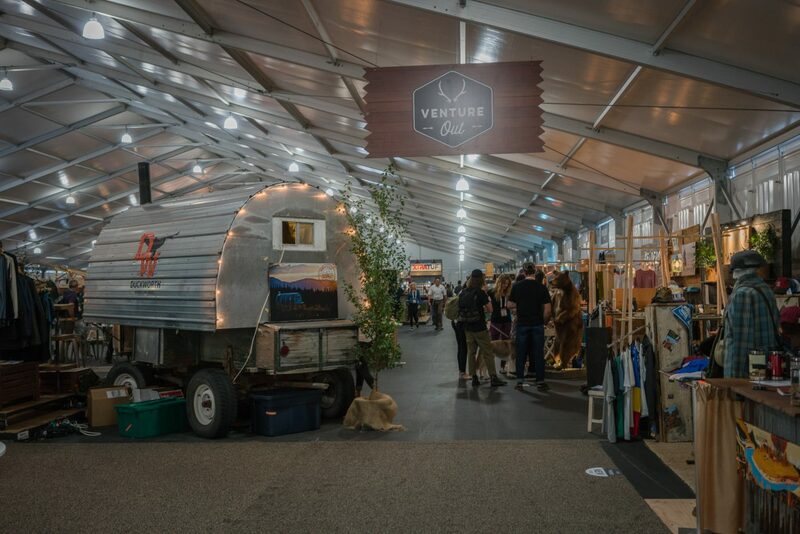 This was a unique Outdoor Retailer as it marked the last time the trade show would be in Salt Lake City. For the bi-annual trade show the next one will take place in Colorado. I’ve attended this show consistently for the past few years and its become one of my favorites. The show features everything from the outdoor world from camping, fishing, hiking, boating, traveling, outdoor sports and more. I only had a single day at the show to browse the aisles upon aisles of goods and brands and each year it seems to get a bit bigger and bigger. 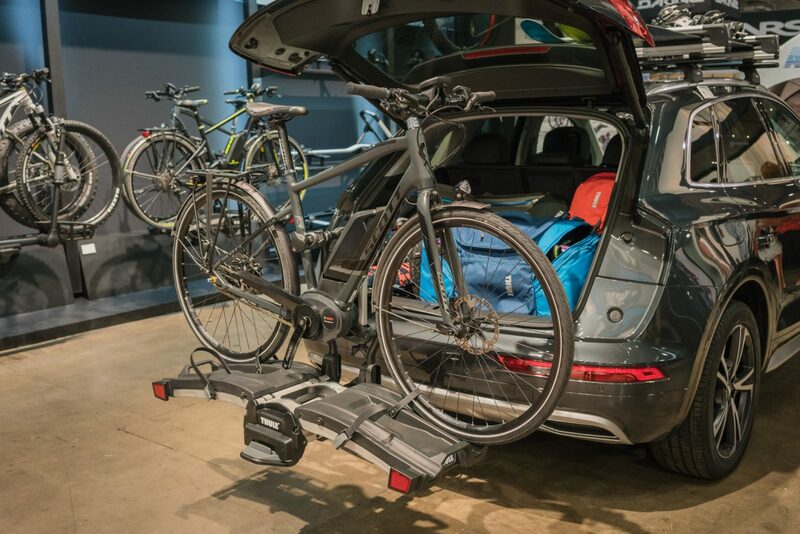 Here are the Top 12 things I found at the trade show. 1. 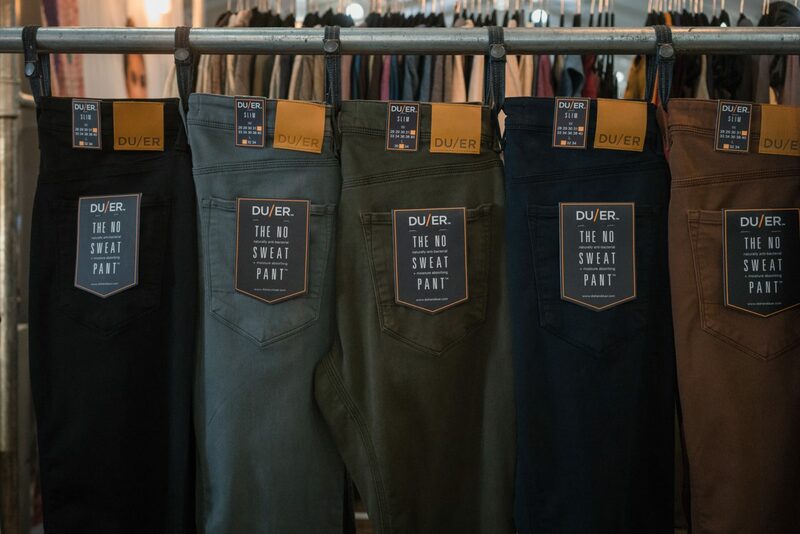 DUER, the Vancouver based, performance apparel brand showcased a wide array of denim and pants that caught my attention. 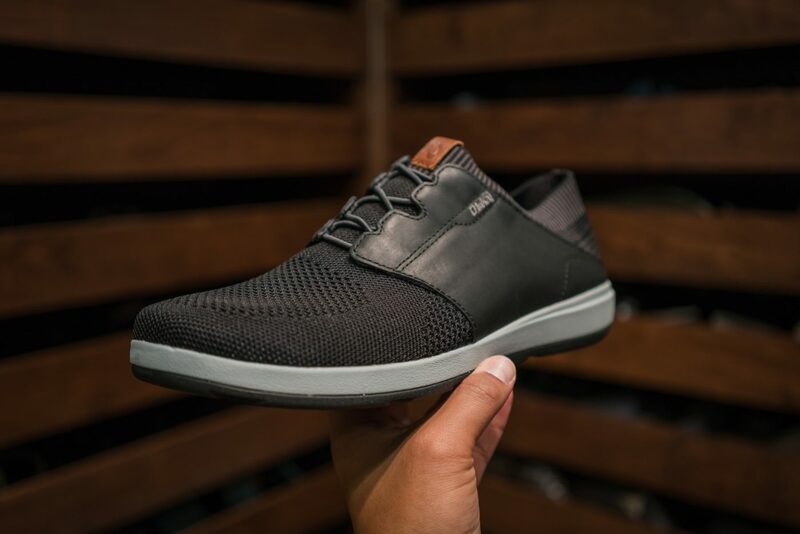 Not only fashionable but also functional with features that include stretchable fabrics, lightweight material, moisture wicking, and even their “No Sweat” technology. 2. ALL GOOD provides organic body care products with the natural benefits of botanical ingredients. 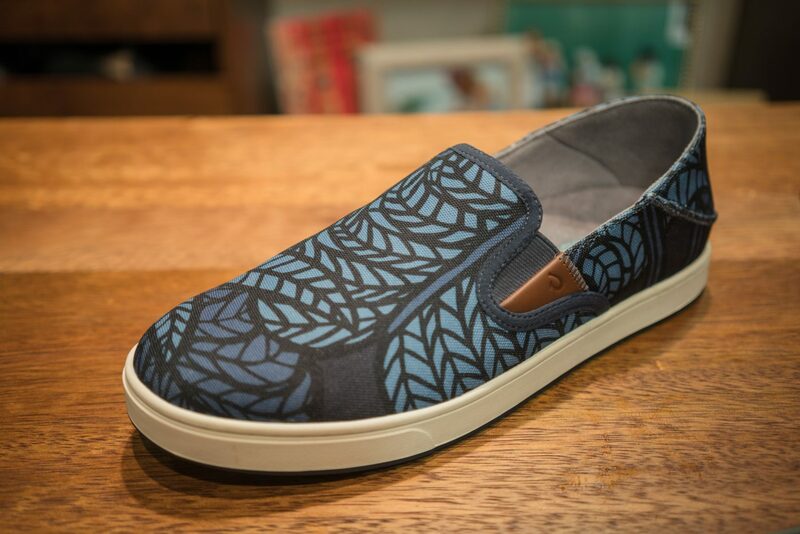 Not only are the products good for you, but also for the environment with purchases directly supporting environment restoration and education projects through their partnership with 1% For the Planet. 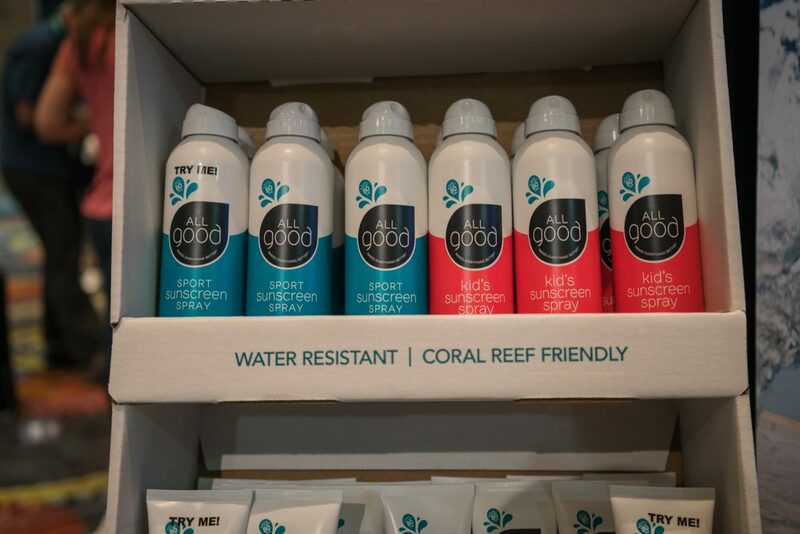 As a new parent, I find myself constantly searching for products that are more natural and beneficial for my son and after trying their sunscreen I’m a fan and look forward to using more of the product line. 3. 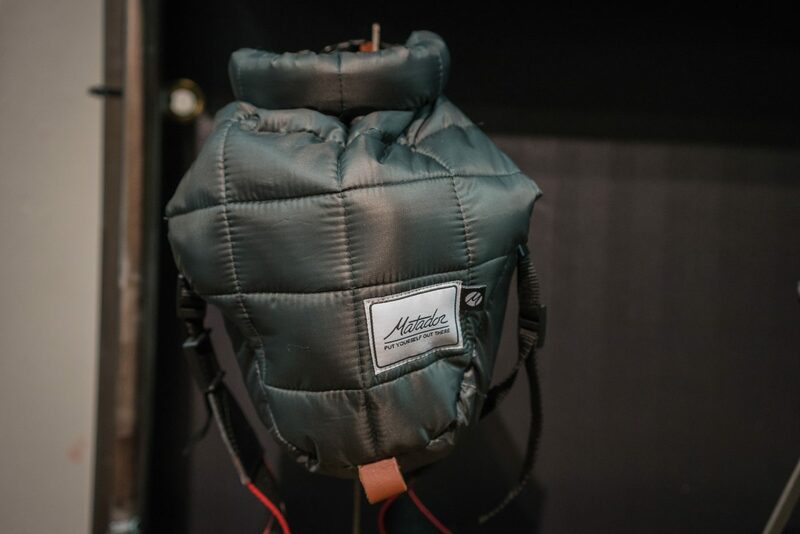 MOUNTAINSMITH showcased some new outdoor packs along with their introduction into soft sided coolers with the Cooloir Series. 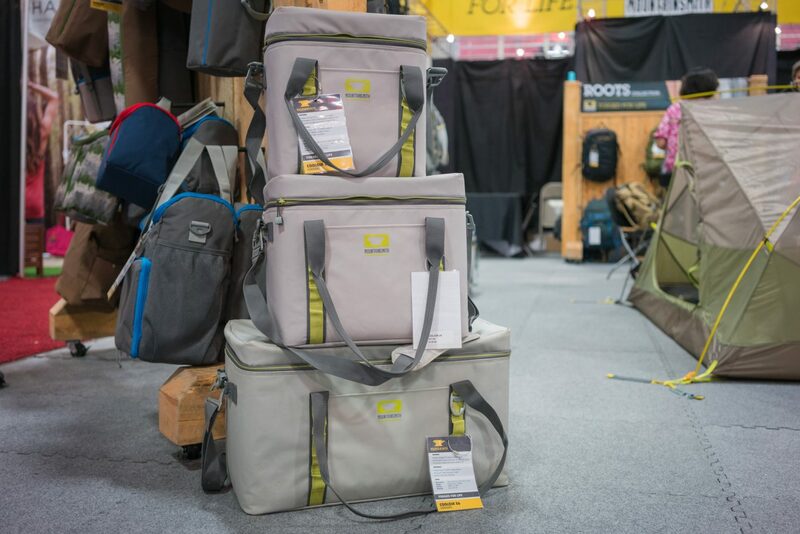 The Cooloir Series is available at retailers now and features waterproof 400 denier TPU/PU coated Nylon exterior, fully-taped interior seams, medical grade water-resistant zippers and a high-density, removable EVA foam inner cooler box that ensures cooler contents stay iced down for up to 72 hours and all at a reasonable price starting at $119.95. 4. 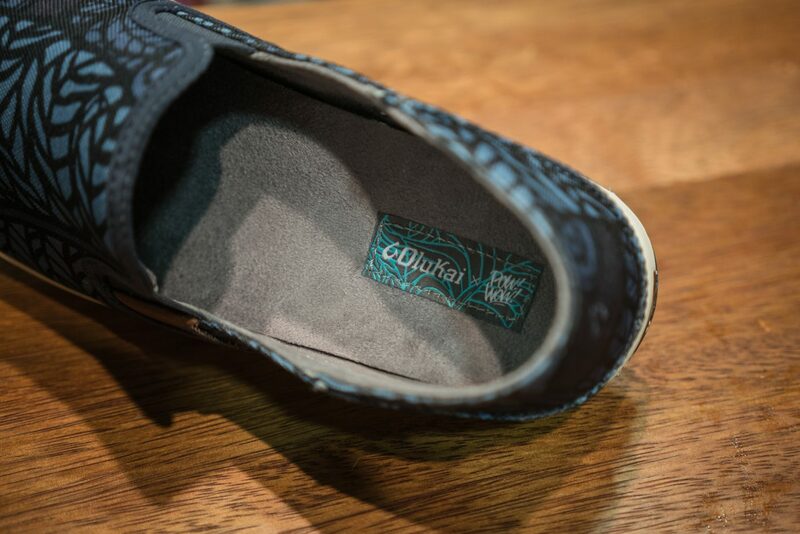 Olukai presented some new footwear inspired by Hawaii and a new collaboration with the Pow! Wow! Hawaii arts festival. 5. 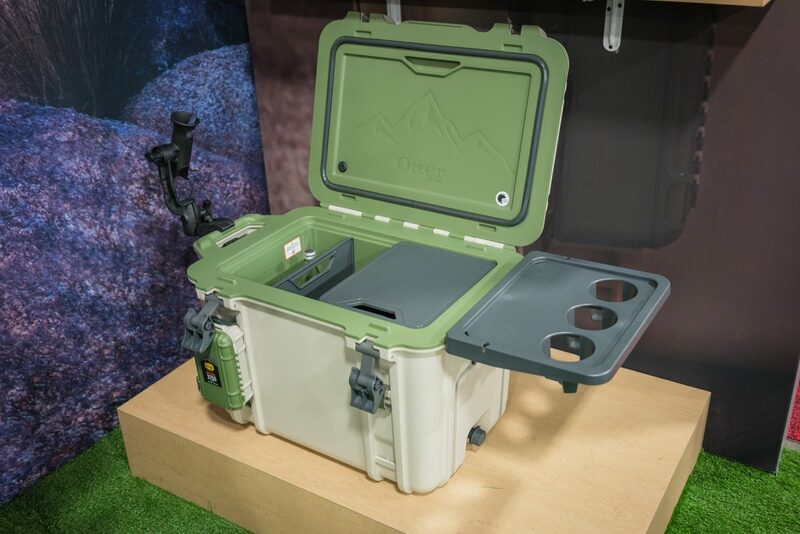 Otterbox had their new Venture Coolers that included customizable accessories from a cutting board that doubles as a tray to add-on drink holders and much more. Their Elevation tumblers also serve a variety of purposes with lids that transform the tumbler into a french press for coffee, tea and even turns it into a shaker for cocktails. 6. 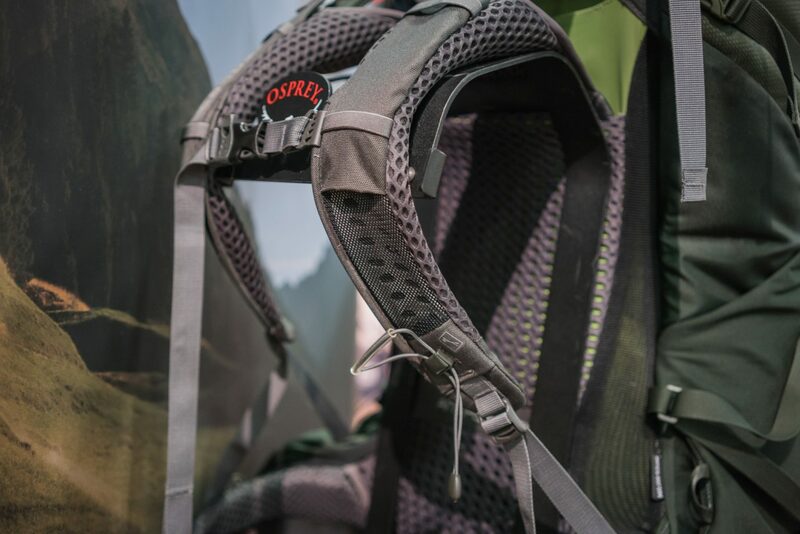 Osprey added a few new packs to their line-up and continue to push outdoor innovation with their technology, light weight design, and suspension for comfort during a long hike. 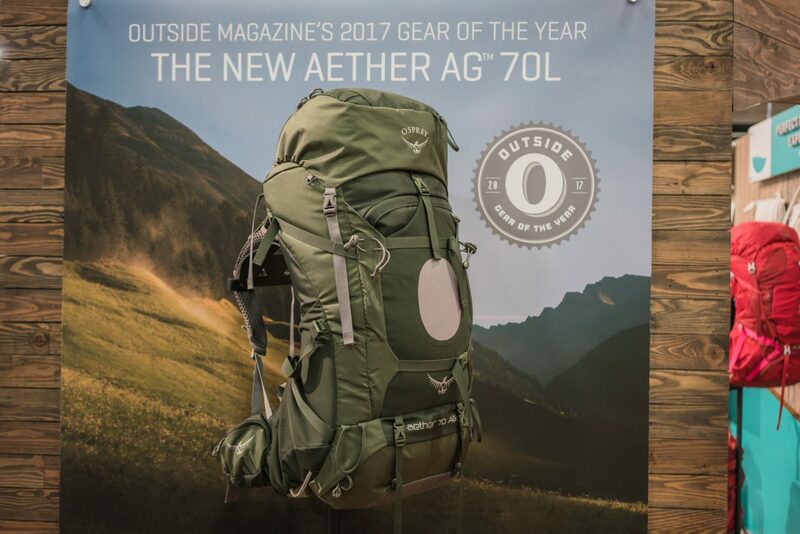 I was impressed with the thoughtful design of the Osprey Aether AG that features a IsoForm5 harness and CM™ hipbelt for fit and comfort with heavy loads, anti-gravity technology in a suspended panel of lightweight mesh that extends from the upper torso to the lumbar area for comfort, and a convertible top-lid backpack that converts a top lid of the pack into a fully functional daypack for shorter excursions. 7. 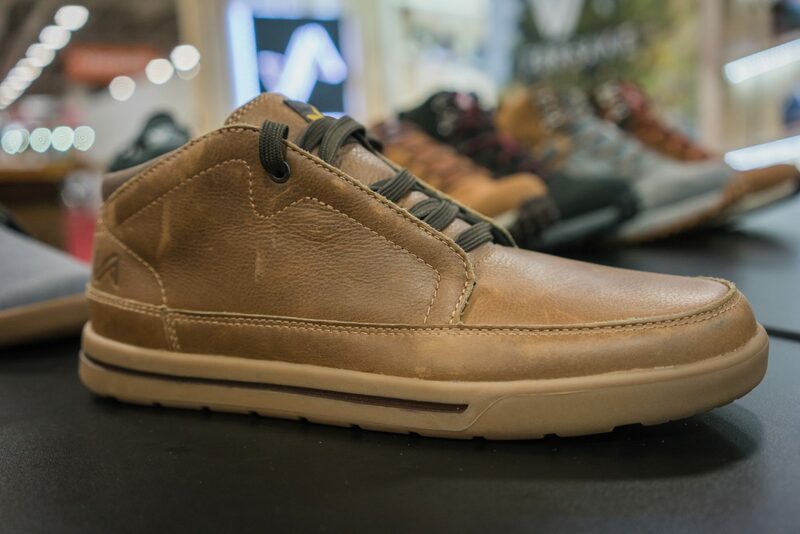 Forsake solves the problem of sacrificing style for comfort and performance with their line of sneaker boots. 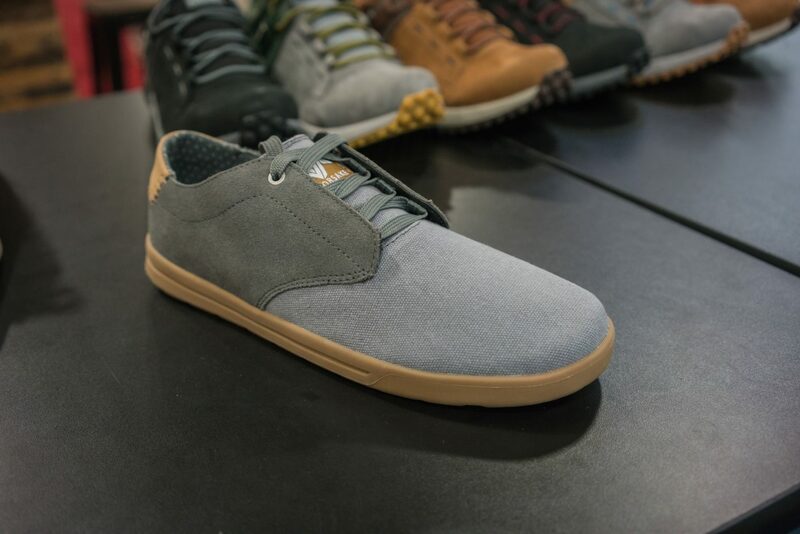 The durability and weather proof materials found on traditional hikers are coupled with streamline and fashionable styling inspired by skate shoes. 8. 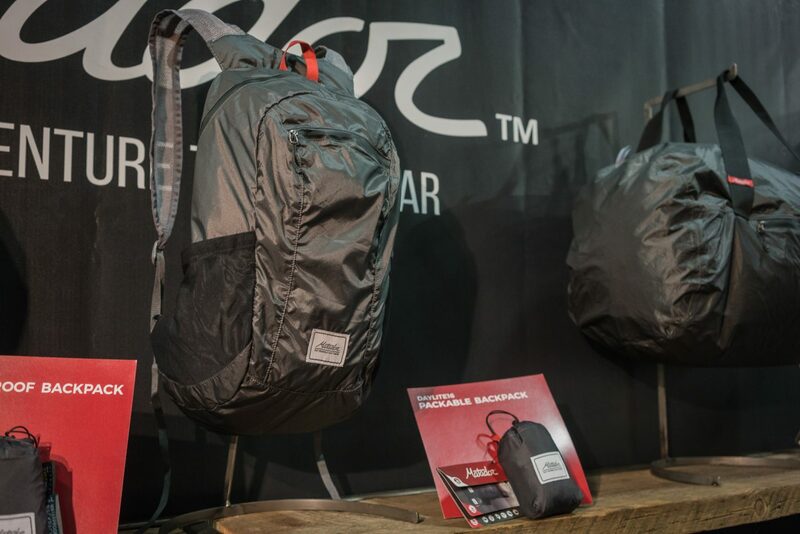 Pac Safe impresses with its new collection of travel safe packs with a more refined and sleek design that fits urban and outdoor environments alike. 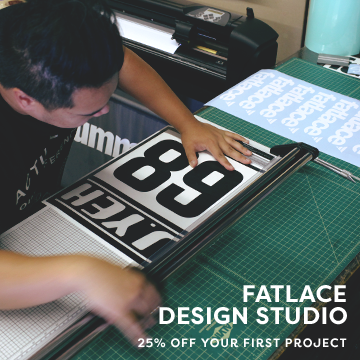 Key attributes include heavy duty locks, a slice proof exoskeleton, and RFID protection. 9. 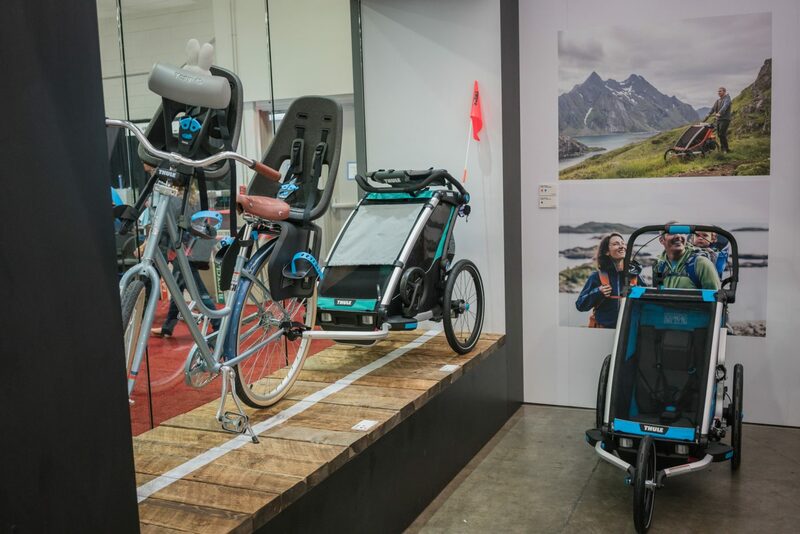 Thule had a wide array of products on display from new packs, bike racks, and even an update to their popular Urban Glide stroller, now complete with hand brake. 10. 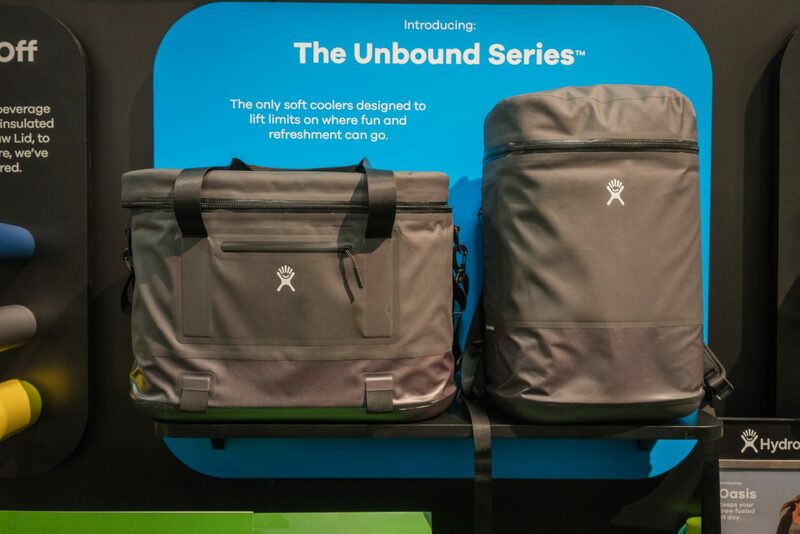 Hydroflask has entered the soft-sided cooler market with a couple styles. One is a traditional tote and one a backpack for convenience and ease of carry. 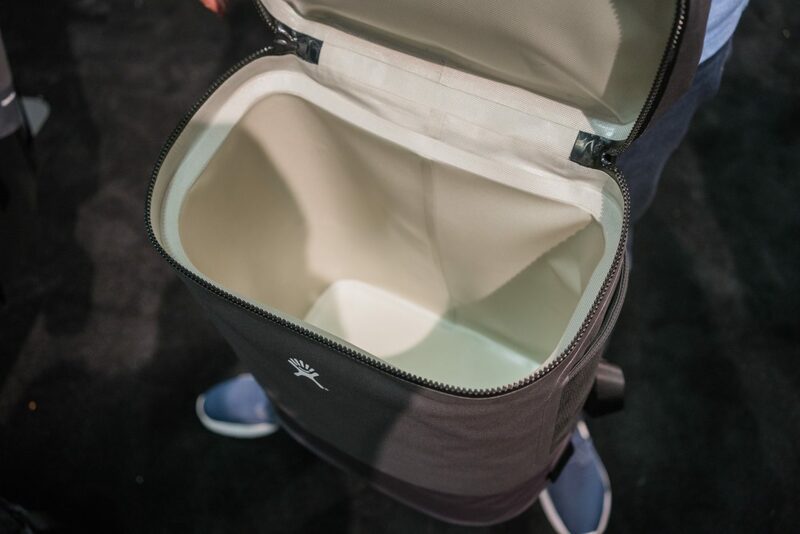 The waterproof exterior also features pockets for additional organization. 11. 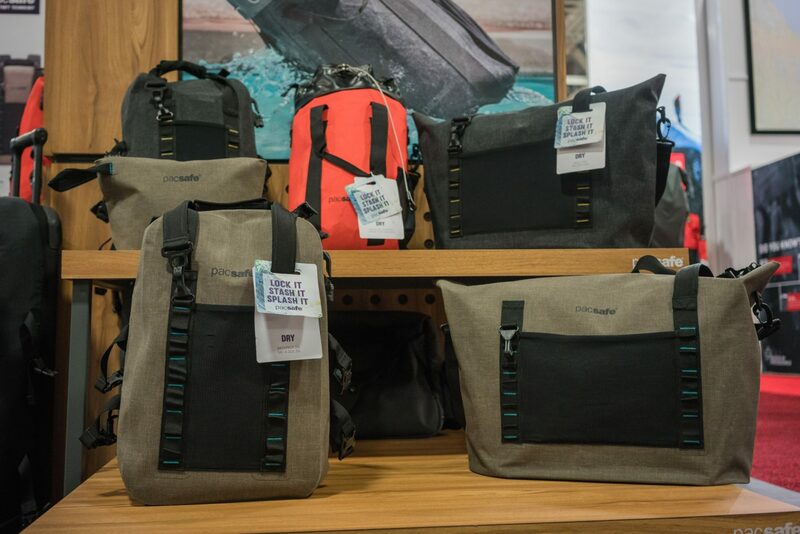 Matador is a new brand that I was excited to see a the tradeshow. 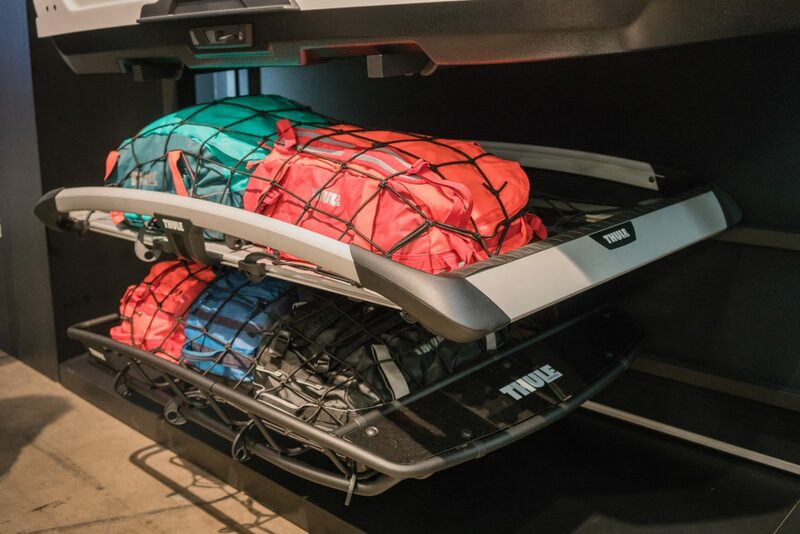 Their collection of extremely packable bags was impressive. 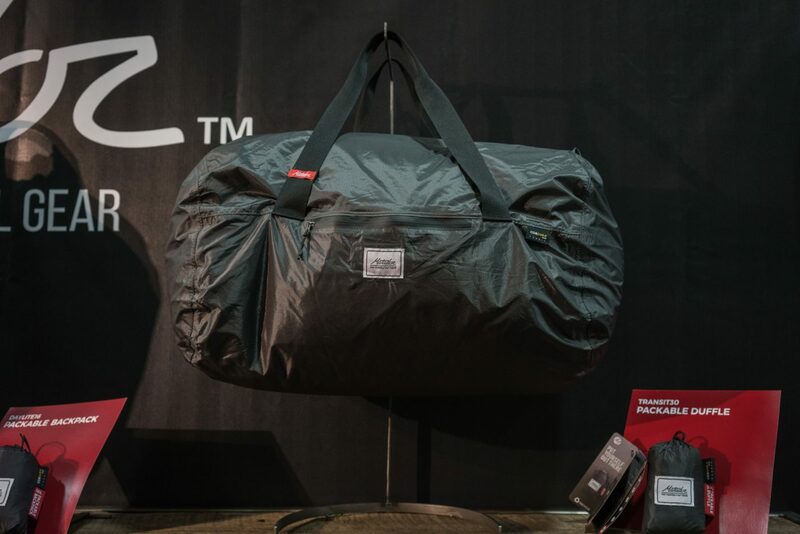 Made from durable and extremely lightweight, waterproof Cordura ripstop material – the packs are built for traveling and adventure. They each pack incredibly small to fit into another pack or even in your pocket. 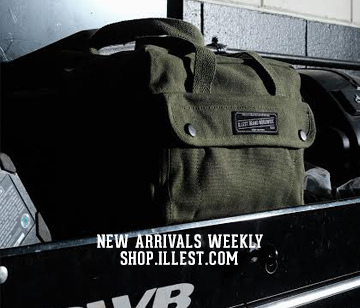 They make for a great addition while traveling for those times you need even more storage or the most lightweight carry solution possible. They also have their signature pocket blankets and even a base layer to keep cameras and lenses safe and protected, while out in the elements. I’m very curious to try these out. 12. 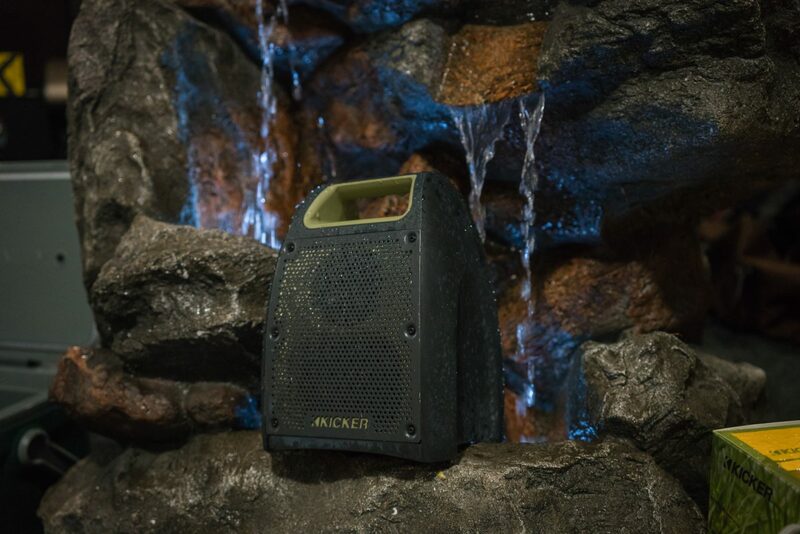 Kicker has expanded their line of Bullfrog – high-quality, portable audio outdoor adventure speakers with the new BF100 and BF200. 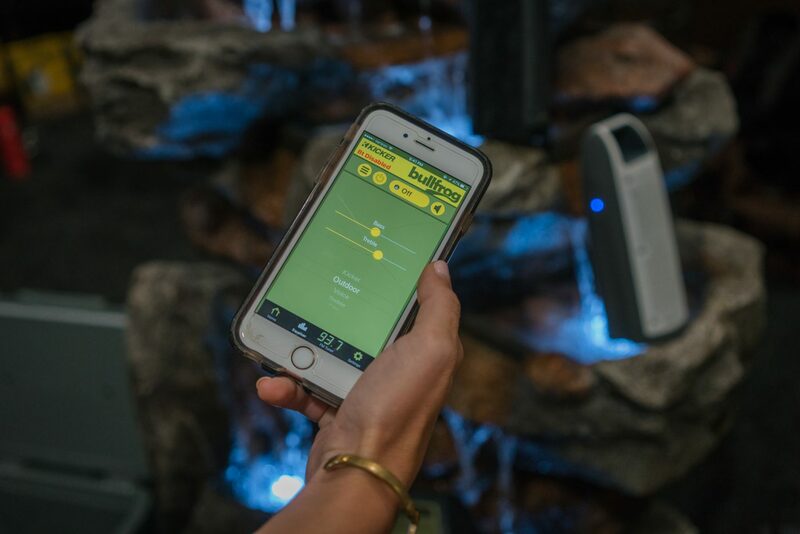 The bluetooth speakers connect easily to smartphones and with the use of an app can be controlled directly from the phone. With an IP67 rating, the speakers are fully protected from dust and dirt, floats, and can be submerged under water for up to 30 minutes. It also features 360° sound, a hands-free speakerphone and has a Bluetooth range of 100 feet.